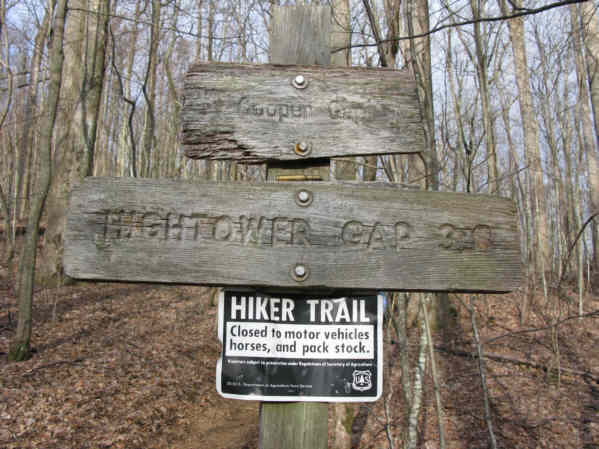 Today's hike was on the Appalachian Trail starting at Cooper Gap hiking to Hightower Gap and back. 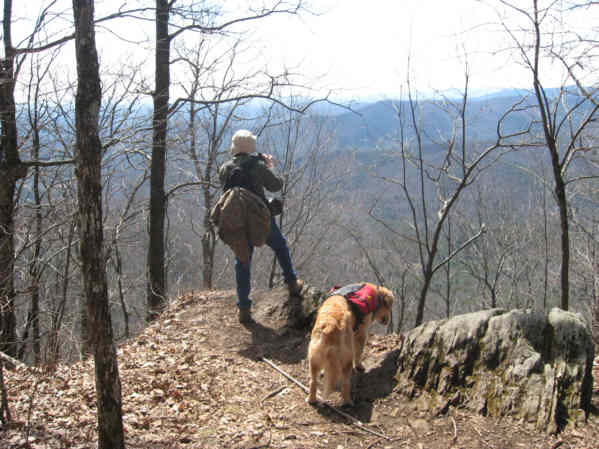 This strenuous portion of the A.T. took us to within 8 miles of the southern terminus of the 2,175 mile trail. 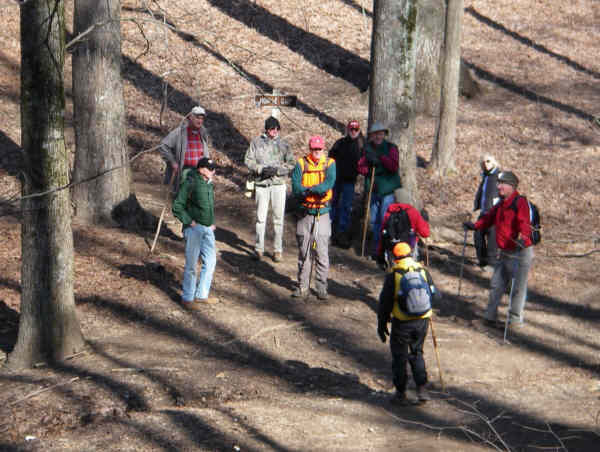 HIKERS - John Bellamy, June Bellamy, Thomas Bowers, Phil Brownrigg, Pam Euliss, Dave Hinson, Bill Hunt, Jeanne O'Connor, Donna Presley, Tony Presley, Vic Robson, Dan Ross, David Whitaker, Geri Whitaker, Carole Wintle and Jack Wintle. 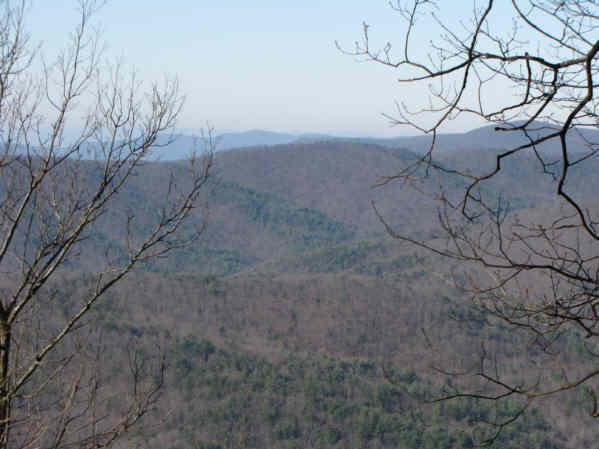 TRAIL INFORMATION - A beautiful portion of the Appalachian Trail in Lumpkin County, GA. From Cooper Gap headed south on the trail you immediately climb over Sassafras Mountain and the trail rolls up and down until you get to the intersection of forest service roads 42 and 69 at Hightower Gap. We rate the hike strenuous due to lots of elevation changes. Directions: Take Hwy. 129 N from Cleveland, GA for about 15 mi. then turn left at Turner's Corner and travel several miles to Hwy 60 (rock pile) turn right and drive to the top of the mountain and continue past the A.T. crossing at Woody Gap. Going down the mountain to Suches (you will see the lake on your right) turn left onto Cooper Gap Road which becomes a gravel Forest Service Rd. 42 and continue approx. 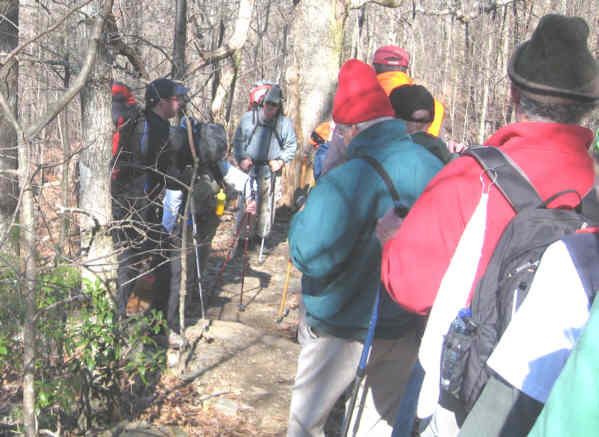 8.5 miles to Cooper Gap (it is at the intersection of 3 forest service roads 42, 80 and 15). Another great day for a hike! 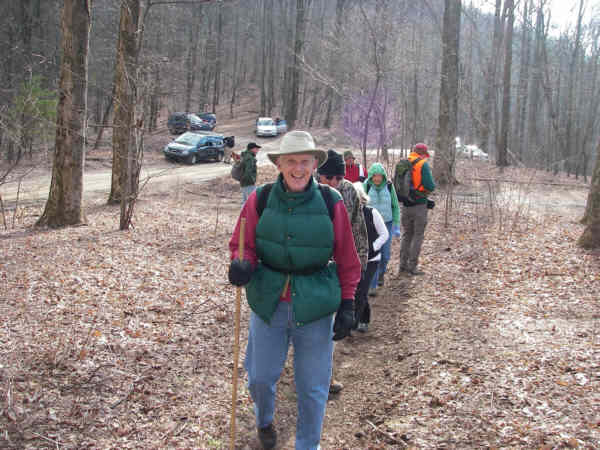 Partly Cloudy with temperatures ranging from the upper 30's to low 60's degrees F. Hiking distance - 7.6 miles. 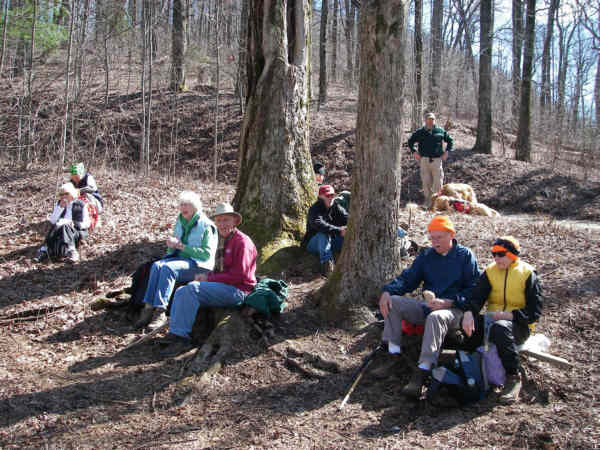 BIRDS IDENTIFIED: Pileated Woodpecker, Carolina Chickadee, Crow, Nuthatch, Tufted Titmouse, Pine Warbler, Blue Jay. Scroll down for photos and video. 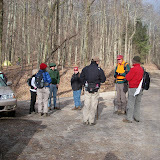 Starting out from Cooper Gap. 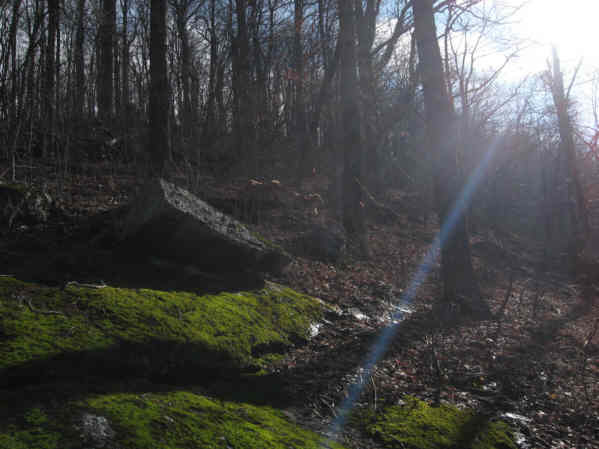 Trail marker at Cooper Gap. Sunbeam cutting through the morning haze. 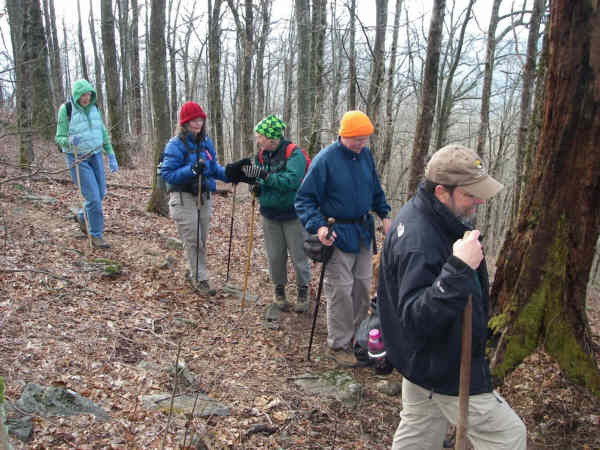 We met a nice group of students from The University of Mississippi - backpacking on their Spring Break! Lots of nice mountain views alll along the trail. 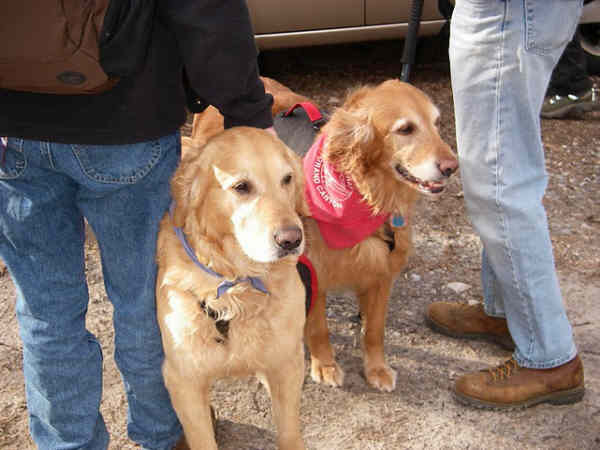 Trail dogs for the day - Ty and Jessie . Another great day for a hike! We met many thru-hikers on their way to Maine! The OFHC gang for today's hike. (l-r front) Carole Wintle, Jack Wintle, "Jessie and Ty", Vic Robson, David Whitaker and Geri Whitaker. (l-r standing) Don Preece, Donna Presley, June Bellamy, John Bellamy, Pom Sinnock, Dave Hinson, Jeanne O'Connor, Bill Hunt, Thomas Bowers, Dan Ross, Pam Euliss, Phil Brownrigg and Tony Presley.